Karlyn D. Percil is another young St.Lucian who is simply enchanting. So what keeps her inspired? "My love and passion for all things Caribbean - the people, the culture and the Islands...we're sooo exotic (different languages / cultures / etc)." Intensifying her mystique and grandeur Karlyn speaks fluent English and French Creole. She pursued her International Business diploma with the Association of Business Executives (ABE) in London via St. Lucia. With her tenacious spirit, Karlyn D. Percil moved to Toronto, Canada in 2003 with the aspirations of broadening her horizons and embracing new endeavours. The true quintessence of a change agent, she is a model, hostess, special events planner, project manager and business analyst. Karlyn is a firm believer in giving back to the community. With her insatiable appetite to enlighten and to emanate a bond that unites all; Karlyn established her own business entitled BelleMoun. BelleMoun is a blend that comes from the French influence (Belle~Beautiful) integrated with St. Lucian French Creole/Kweyol (Moun~Person/People). BelleMoun fuses all of the beautiful people of the Caribbean together through a plethora of artistic expressions and inspirational affirmations in apparel, which creates cohesiveness amongst the people. PLUS: An ideal gift for the St.Lucian who lives away from home. I can think of a number of reasons to don a BelleMoun tee today! Trinidad Carnival, any Carnival for that matter, St.Lucia's Independence Day which is just 'round the corner (February 22). Haha. 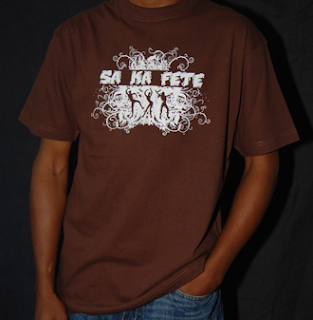 The St.Lucian French Creole Greeting-“Sa Ka Fete” means “How are you?” in the English language. French Creole is spoken in St.Lucia, Dominica and Haiti today. 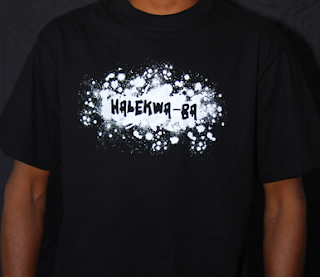 The Arawak/Lokono Greeting “Halekwa-ba” means “How are you?” in the English language. Although the Arawak language isn’t spoken in the Caribbean Today, we wanted to pay homage to the Lokono Tribe (the Arawak Tribe). It is believed that there are descendants of the Arawak Tribe in Barbados and Jamaica. What to expect from Karlyn D. Percil in 2008? Karlyn D. Percil will executive produce The Karlyn Percil Show. The show will bring forth discussion on an array of topics such as Entertainment, Lifestyle, Business, Politics and Social Issues. The Karlyn Percil Show will be a forum to inspire, discuss & celebrate the successful, talented and wonderful people in the African Canadian community across Canada and the Caribbean. The show is set to launch in Toronto in February 2008. Caribbean Posh Magazine will feature her in the upcoming March 2008 issue. 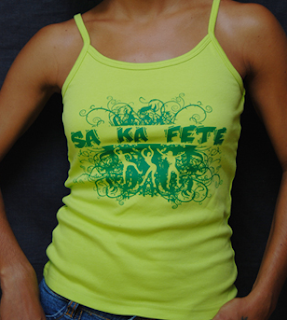 OK, I love the Sa Ka Fete shirt!